Good Friday may not be the best time to talk/think about zombies (or it could be perfect, depending on your perspective), but this piece of news just can’t wait. With a zombie run coming up in my neck of the woods, zombie talk has just escalated in the recent days. And when I read about what Russia is working on, I knew I had to share it with you guys. I hope you are not that averse to all things zombies! According to an article published by The Herald Sun ((Source)), Russia has confirmed that they are working on technology that can create zombies. The technology involves psychotronic guns, which have the capability of altering the state of humans, turning them into zombie-like creatures. That’s the fun part. The realistic aspect is the fact that the term used is “zombie-like”. That means that people who might be put under the effects of the electromagnetic radiation of the guns will most likely NOT turn into walkers as we know them from The Walking Dead. Instead, the low-frequency waves that the psychotronic guns emit will mess with the brain cells of humans, making it possible to input suggestions or commands. That is not exactly like the zombies that keep people fascinated these days, yes? The concept of energy weapons is the stuff that science fiction is made of, and we have been dreaming them up for eons. This time, however, the dreams might just turn into reality. As can be expected, the development of this kind of weapon does pose a lot of ethical questions. Vladimir Putin himself has confirmed that the government is already testing the weapon, although much remains to be worked on. A spokesman did say that one purpose would be crowd control, which is of course also rife with questionable practices. While the entire idea is cool, I am not sure about whether this is a good thing in real life or not. 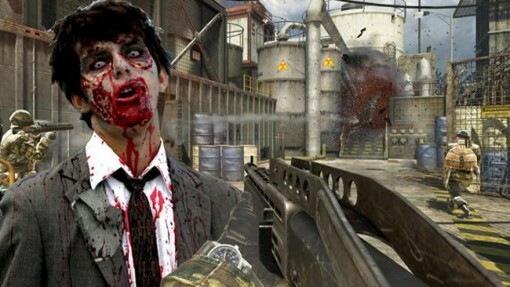 Maybe it’s about time someone start developing a defensive weapon against this zombie gun.